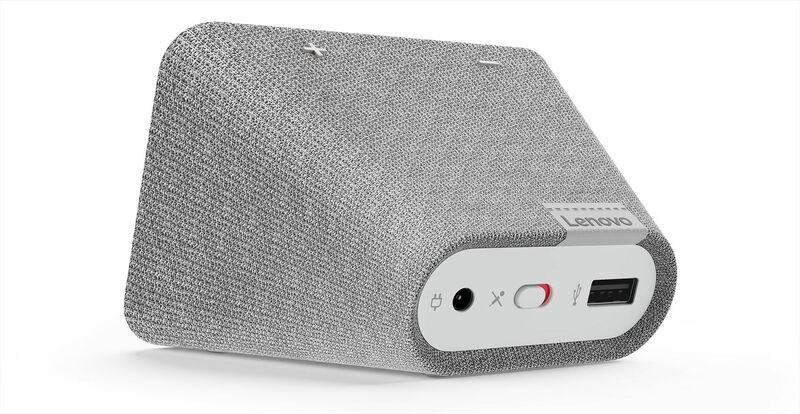 Lenovo has launched a new smart gadget in partnership with Google at CES 2019. Called Lenovo Smart Clock, the device comes with Google Assistant support and can be used as a smart home hub and for listening to music among other things. Although basically its designed to tell you the time and get you up in the morning. But in reality it can do a whole lot more — it can charge your devices, play music, and even be set up with a Google Assistant Routine specifically for sleeping, which makes your devices go into silent mode with a simple voice command. Lenovo Smart Clock features a 4-inch IPS touchscreen display and is priced rather affordably at $80 (~Rs 5,600), with shipping set to commence this spring. Other hardware features include a USB port for charging, a 6W speaker and two passive radiators tuned with Dolby’s latest background noise reduction technology. And as with other Google Assistant powered smart speakers, Lenovo Smart Clock is also compatible with Chromecast, so you can stream shows and music on your TV or speakers with just your voice. It also sports multi-room functionality, which can be used to add the Lenovo Smart Clock to a home speaker group and play music, audiobooks, podcasts, and radio across multiple devices in several rooms. Lenovo Smart Clock supports Assistant Routines and can be used to control over 10,000 smart home products and considering the $80 price tag it is a good alternative to a Google Home speaker, which doesn’t have a touch screen. It price and availability in other markets except US hasn’t been revealed yet.